There is nothing more relaxing than falling asleep to the sound of your favourite music tracks, or to the soft voices that are reading your new audiobook – or even an old classic that you have decided to dip back into. 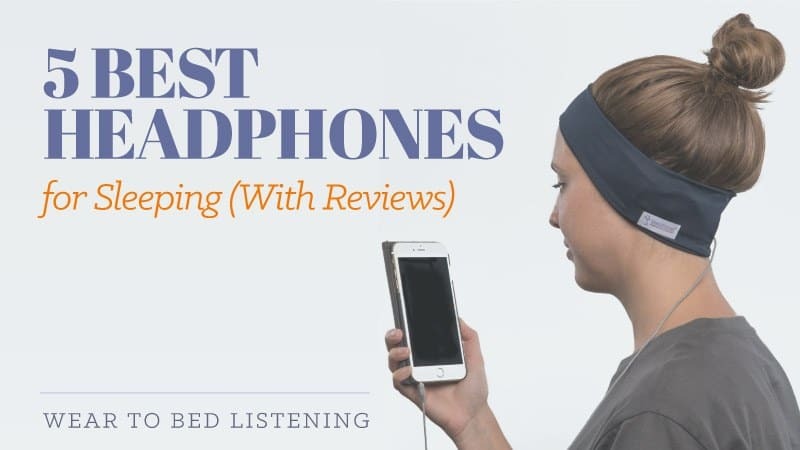 Some of the best headphones for sleeping can be found in this guide, with many of them providing you with a sleeping mask to get the mood just right. They should be comfortable with an excellent sound quality, plus if they provide noise cancelling features it makes the experience that much better and more enjoyable. Take a look at these top five models to find the best headphones for sleeping, so that you can have an enjoyable and relaxing night. Whether you are looking for something cheap and cheerful or something a little fancier, there are a pair of sleep-friendly headphones here that are perfect for you. These headband headphones are completely adjustable thanks to the handy Velcro strap, so you can make it fit your head in as snug or loose a fashion as you please. 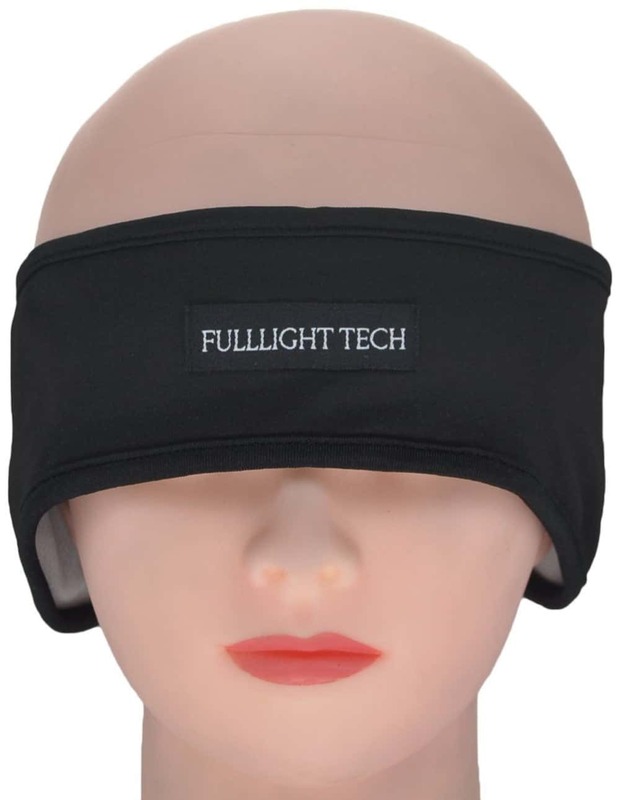 They offer a comfortable sleeping mask that makes them ideal for a long snooze, or even meditation sessions where you wish to remain undisturbed by the world. The headphone quality has been described as surprisingly good considering the low price. They offer a clear and crisp sound that would be expected from a slightly higher end product. 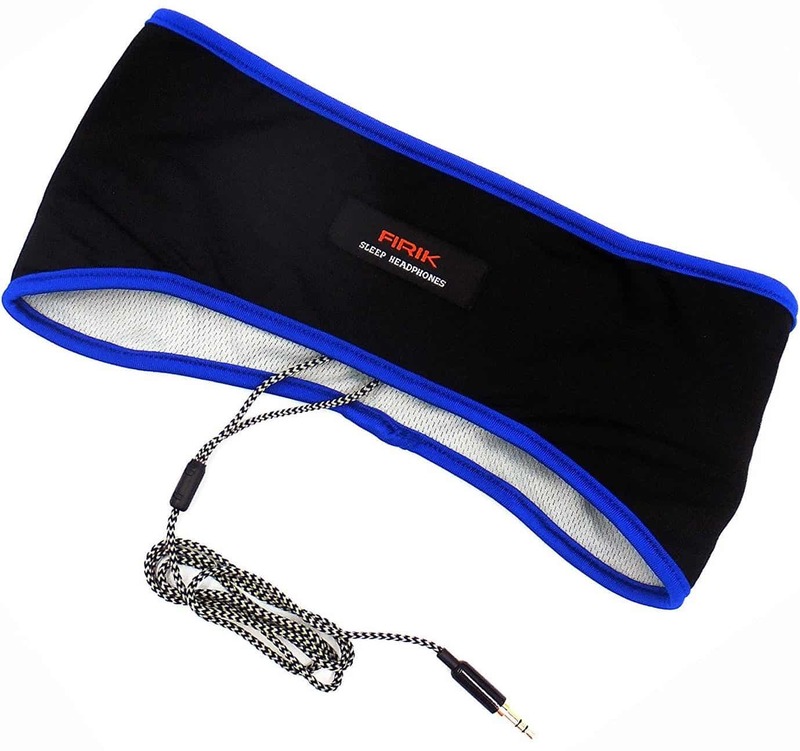 This makes them ideal for listening to music and audio books, especially in conjunction with the sleeping mask. They offer a great deal of comfort and are sure to help you achieve a good night’s sleep. This nifty set of headphones and sleeping mask provide a great deal of comfort to those who are trying to get a good night’s sleep. With great sound quality and comfort from both the headphones and the mask, you are sure to be asleep in minutes while you listen to your favourite audio book or tunes. An absolute must for those who are seeking new ways to fall asleep. "Suitable for most devices, blocks out noise, so great for sleeping, meditation or just wanting some alone time." - By Suzy G.
Instead of using traditional headphones, tiny speakers are slotted inside the headband for the best sound quality. These make them perfect for sleeping in, but also do not cause any discomfort as a result. They have noise cancelling properties, so that you can enjoy your music anywhere you go, and they won’t make you uncomfortable thanks to their thoughtful design. It comes with a very long cord for easy reach, and is compatible with the vast number of mobile music playing devices – so your music can be played easily when you are falling asleep. With no noise leakage, they are perfect for those with significant others that they don’t want to disturb. If you are looking for a pair of cheap headphones that will help you to fall asleep each night, then these might just be the ones for you. With noise cancelling features and a very comfortable fit, sleep will not be able to elude you when you are feeling relaxed and comfy listening to your tracks or audiobooks. The only thing you have to worry about with these is the potential they have to stain your bedding. These wireless sleep headphones have Bluetooth built into them to make everything that much easier for you. 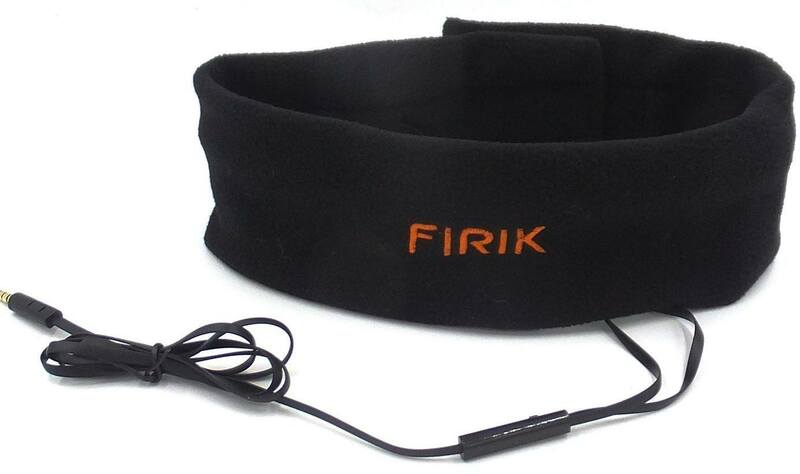 The headband allows you to switch your music tracks and adjust the volume without reaching for your phone. Plus, it allows you to answer any incoming calls/redial a number with the click of a button. This wireless technology means no more getting tangled in cables. Plus, you can synch your music player to the headband so that your favourite songs are all ready to go. The headband doubles as a sleeping mask with surprisingly good audio quality. 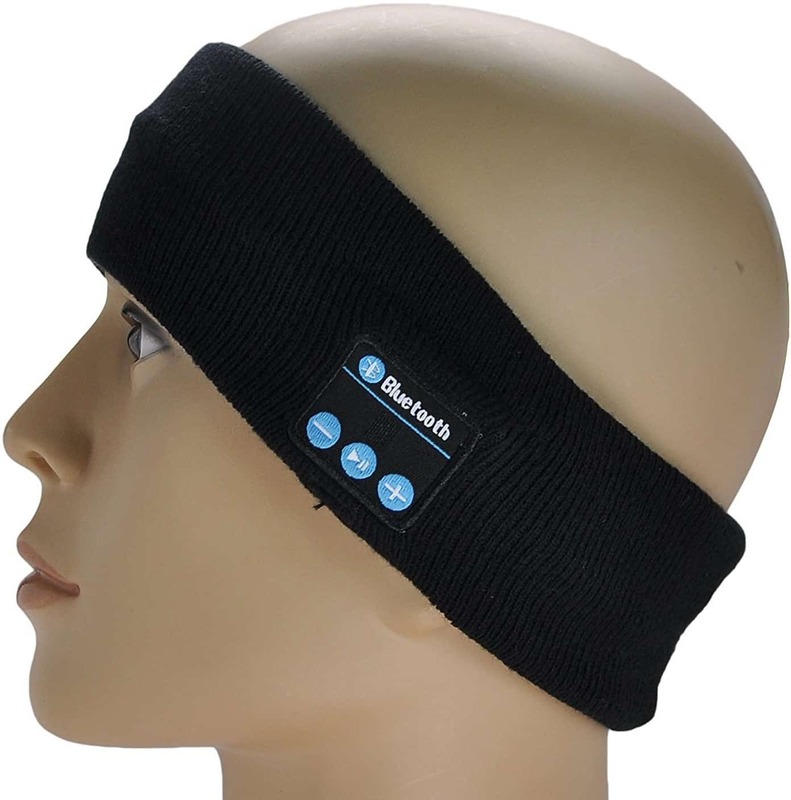 When not in use as a sleeping mask it can be used for exercise, keeping your ears warm in the cold weather as well as absorbing sweat from your latest workout. With great quality and a smart implementation of technology, you never need to worry about stopping and starting again. These Bluetooth headphones offer something a little different and at a very affordable price. With a range of Bluetooth controls to make life and relaxation a little easier, you are sure to have a better time of everything both while on the go and at home preparing for a long snooze. Good quality and largely approved of, their only flaw is the two-hour battery life. However, they are a great buy for those who want something cheap and effective. These noise cancelling headband headphones for sleeping are available at a very affordable price. They help you to sleep faster by reducing the amount of surrounding noise, allowing you to focus on your book or music while you fall asleep. They also double up as a sleep mask to bring the effect into full play. While this can become a little warm in the summer, it is a great way to get your body thinking about sleep. The material for the mask is hypoallergenic for sensitive skin, and they don’t use clunky headphones in their product either. There is no pain, and they are incredibly lightweight so that you hardly feel them as you go to fall asleep. Plus, the headband is really soft for a little added comfort. It can connect with most music playing devices, and is sure to have you fast asleep in no time. These headphones are affordable and produce an excellent quality of sound. They may not be ideal for falling asleep on your back, but you are sure to feel relaxed while listening to music or an audiobook with these. Plus, the sleep mask can be used to help you meditate or generally relax as well as sleep. It has multiple uses to make everything a little calmer for you. "They look good and you can easily remove the earphones and wash the nice soft headband and away you go. They are perfect for yoga." - By Tony F.
These headband headphones have a new design that uses incredibly thin speakers instead of the traditionally bulky ones. They are lightweight and exceedingly comfortable, so that you hardly notice them when you go to fall asleep. Plus, the mask itself is completely washable so you don’t need to worry about what to do if it gets dirty. 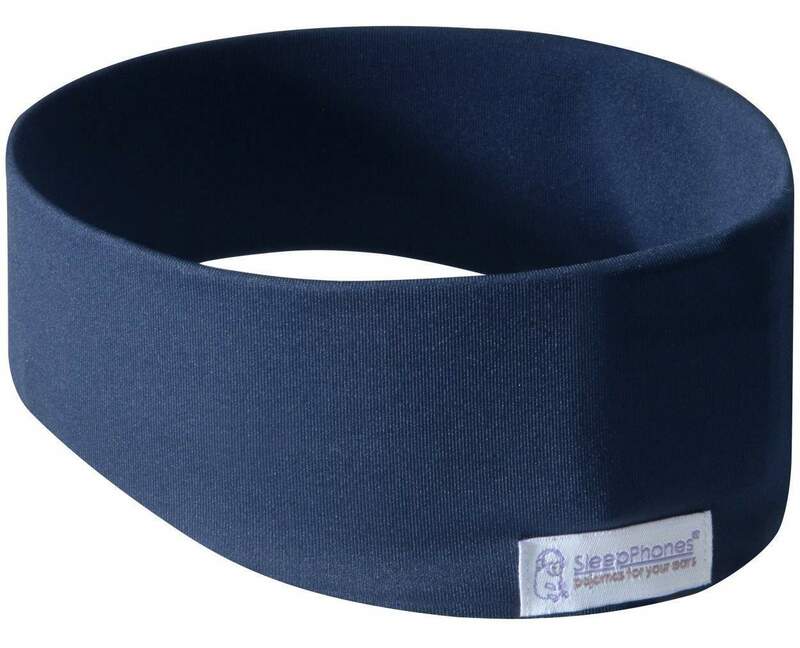 It can also be used as a sports headband and absorb any sweat you produce. The sound quality is fantastic and offers an easy listening experience while you get ready to fall asleep. They reduce the ambient noise round you, so it is just you and whatever you are listening to at the time. With these, a soothing audiobook is highly recommended. They are comfortable to wear for a prolonged period of time, and very easy to fall asleep in as a result. You won’t want to take these off. These headphones are great for those looking for a cheap entry to the world of sleeping headphones and their fantastic capabilities. While there have been a few cases of damage to bedsheets, they are worth purchasing for the good sound quality and the excellent level of noise cancellation. Great for getting ready to fall asleep, or a quick morning workout, they will be there to help you feel relaxed an get you in the mood for a very long sleep. You don’t want to miss these. There are so many great headphones to choose from, but if you are having trouble sleeping then one of these models are the ones to go for. With a comfortable headband that also works as a sleeping mask, you can create the perfect setting for a good night’s sleep. Comfortable and very reasonably priced, these are all fantastic models to pick from. Go check them out and choose the best one for you – they will work wonders on your ability to sleep. You’ll be relaxing and falling asleep to your favourite music or audiobook in no time at all with some of the best headphones for sleeping. What did you think of out sleep headphone selection? Are there any you would have changed or suggested? Leave a message in the comments, we would love to hear from you!